Here is a photo from the early 1990s. I was just learning some of the fundamentals of design. I liked the striped sunlight on walls anyway. You might be able to tell it is East Coast light. 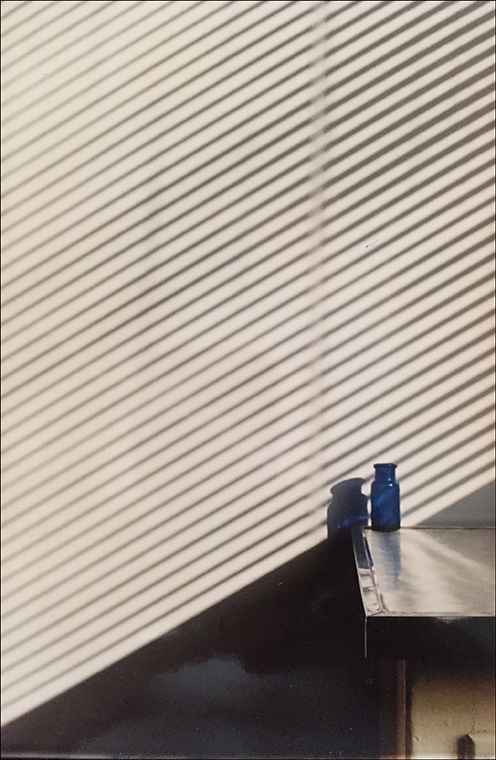 This entry was posted in Personal Stories and tagged 1990s New York, artistic process, bottle, creative process, creativity, design, photograph, still life, sunlight, visual arts. Bookmark the permalink.